Flex-Hone® tools always require the use of a lubricant. So what happens if you use the tool without one? First, you’ll load up your flexible hone with tiny bits of abrasive and cast-off metal. Increased loading doesn’t just decrease tool life either. Using a ball hone without a lubricant can also cause cast-off material to become embedded in the workpiece. So which type of honing oil do you need for flexible honing? Water soluble oils, mineral oils, motor oils, and cutting and tapping fluids are acceptable. 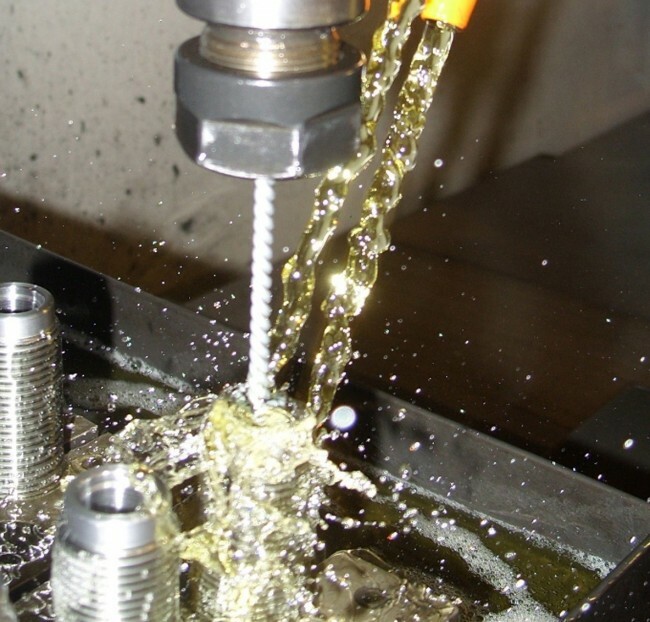 When working with finer surface tolerances, better quality honing fluids are required. For the very best results, choose Flex-Hone® oil from Brush Research Manufacturing (BRM). Flex-Hone® oil is BRM’s own special blend of honing and lapping oils, a moisture dispersant, a lard oil to prevent galling of aluminum, a non-ionic surfactant wetting agent to assure complete lubrication of the surface, and a special additive to help keep the metal cutting and contaminants in suspension. Plus, Flex-Hone® oil is emulsified and contains an anti-bacteria agent. 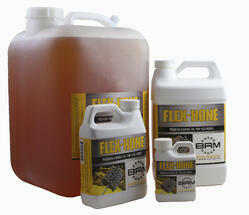 Flex-Hone® oil is available in 1/2 pint, quart, gallon, and 5 gallon plastic containers. Order Flex-Hone® oil via the BRM website, and download the Flex-Hone® Resource Guide for information about tool selection and use.